This image consists of nearly 28hrs total exposure through three different scopes and three different cameras. Filters used were RGB/Ha/OIII. 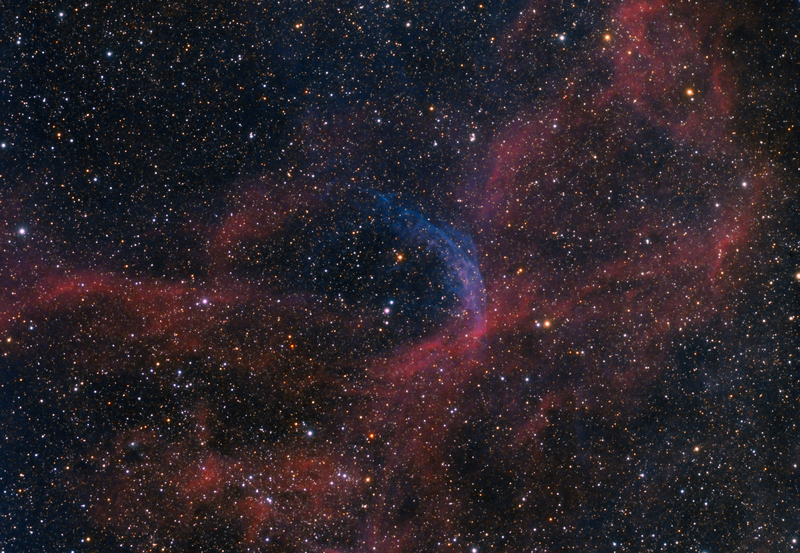 WR134 is a Wolf-Rayet star surrounded by a bubble of nebula that glows in OIII and Ha light.